Help! 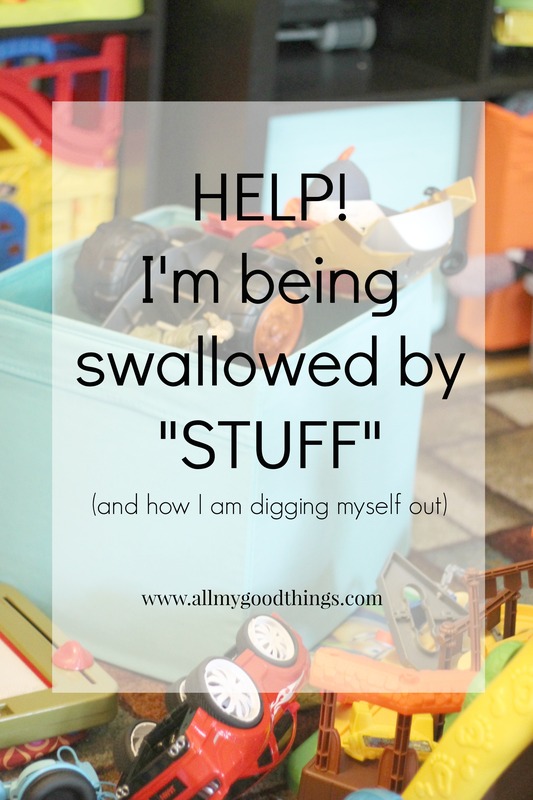 I am being swallowed by “Stuff”!!!!! There is absolutely nothing wrong with having stuff. Nice clothes. Cool toys. Fun gadgets. They make life pleasant most of the time. But when it overtakes your home…. Nope. Not worth it! When I honestly sit and think about what we as a family really need, most of this stuff doesn’t make the list. We have been blessed with an over-abundance. And that over-abundance has become a weight. And to be honest, pretty obnoxious and a pain in the rear! I am tired of picking up the insane amount of toys that my kids don’t play with because there are just too many to pick through and too messy to find a place to play. Let’s not talk about the laundry that never ends. Or the never-ending piles I have to step over to get through a room. Okay. I am exaggerating a little…. But when the clutter takes over. Depression and overwhelming guilt takes over too. HOW do I tackle this? WHERE do I start? I started with my magazines. Honestly, I am not a huge magazine girl. I like them. But I don’t subscribe to any magazines regularly. I have in the past. Someone gave me a free subscription for a home magazine the past year. 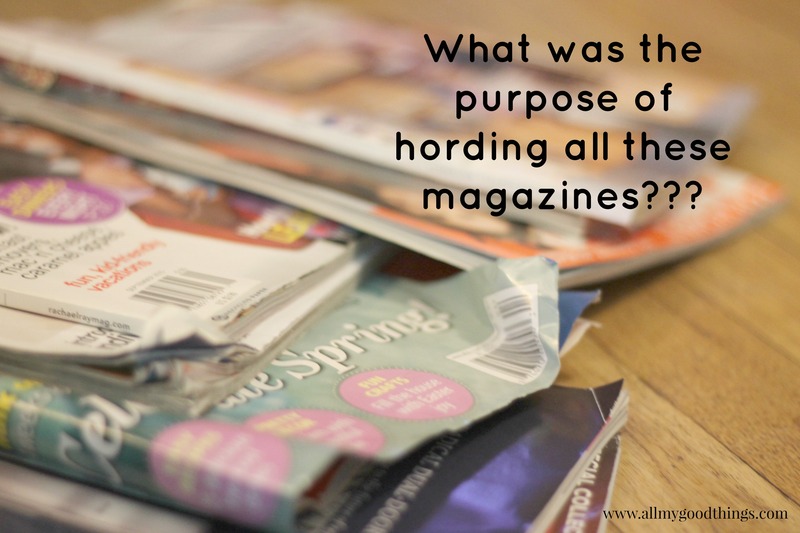 But somehow…I had 50 (FIFTY) magazines stacked in my living room! WHAAAAAHHHH????? That is a LOT of magazines taking up space. I can’t tell you how many times they have been pulled down off the shelf by the twins and torn up and crumpled. Yet I just shoved them back on the shelf. Because somehow in my mind it wasn’t logical at all to pick them up and THROW THEM AWAY!!!! A lightbulb went on while I was moving furniture around the living room last week. I haven’t looked at these magazines in over a year! I couldn’t tell you if there was a good article in them that I wanted to save or remember… What the heck am I saving all these for????? And so without even going through them, I picked them up and tossed them into the trash. It was AWESOME! Just like that a whole bookcase was clear and so was my head! Would you like to join me in this Battle against the Bulging House? It is quite interesting to me that I have found several friends already who feel the exact way. And they have joined in my quest and we are cheering each other on! One bag at a time… And if you do three…. Well, girl, we may just have to have a party!!! What do you do to fight off the “Stuff”? 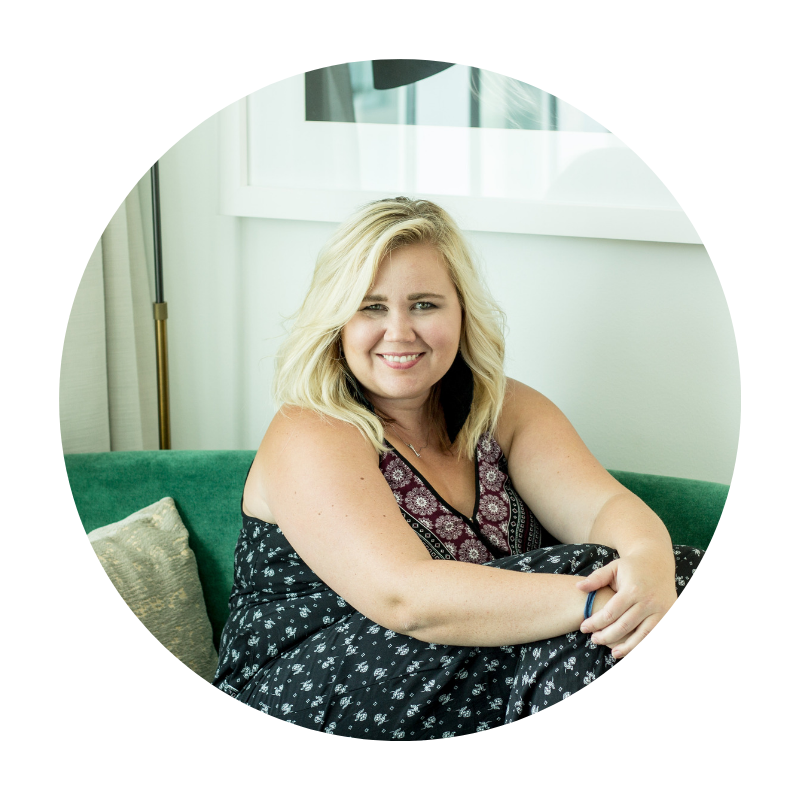 I found that I spent a lot of time feeling guilty and being overwhelmed and not knowing where to start. But once you start purging it is very freeing. Thanks for posting. Hello from Thrifty Thursday.